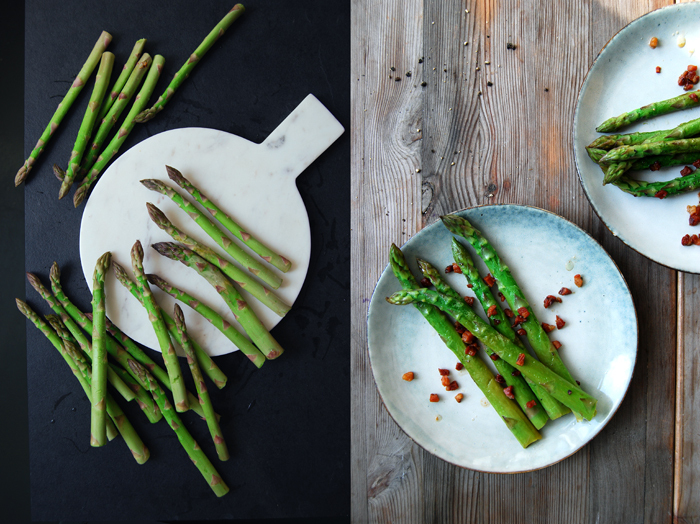 All you need are 6 ingredients: green asparagus, bacon, Balsamico vinegar, olive oil, salt and pepper! 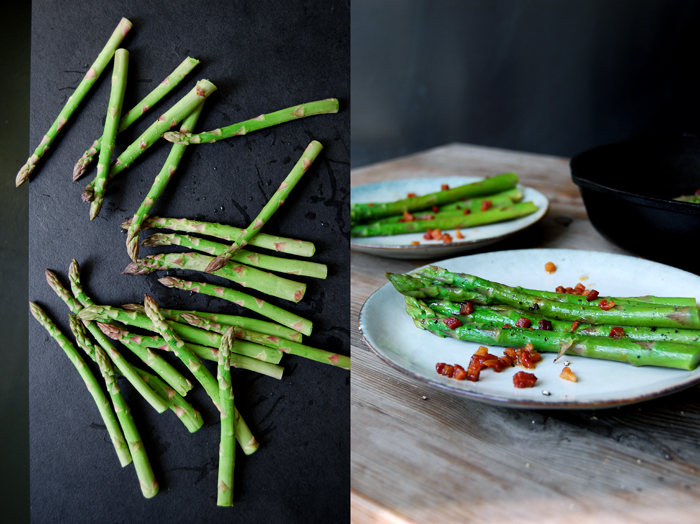 This is one of the easiest asparagus recipes we’ve had on our table this spring and I’m sure I’ll cook it a few more times during this season. Its comforting heartiness combined with the vegetable’s crunchy freshness is all I need when I sit at the kitchen table after a long day of work. The preparation takes around 10 minutes which is also quite convenient. 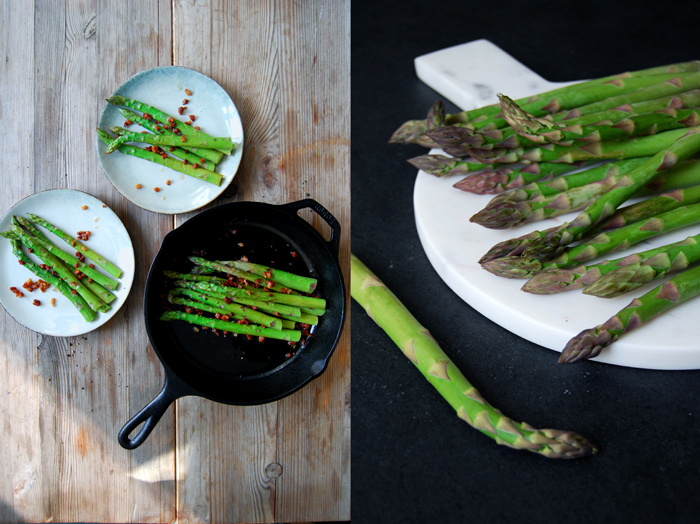 Green asparagus only needs a few minutes until it’s cooked al dente and the bacon bites fried to salty crispiness don’t take much longer. I deglazed the meat with a little white Balsamico vinegar which brings out its sweet side and fits so well with the green stalks. It’s such an easy spring comfort dish! Blanch the asparagus in salted water for 3-4 minutes or until al dente, drain and rinse with cold water for a second to keep its fresh colour. Heat a splash of olive oil in a pan and fry the bacon for a few minutes on medium heat until golden brown and crisp. 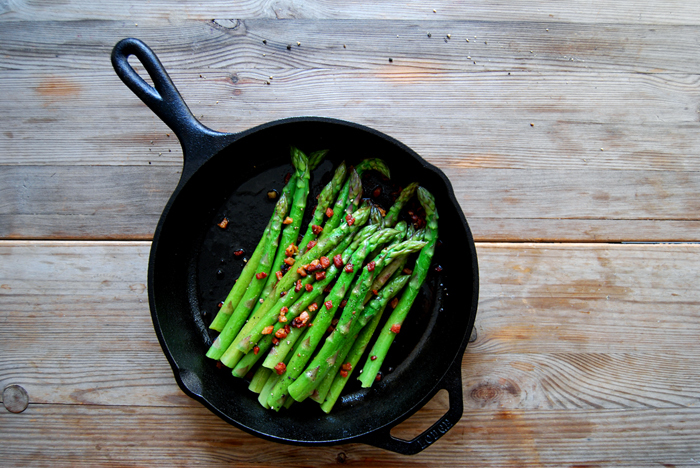 Deglaze with the vinegar, add the asparagus, stir gently and season with salt and pepper to taste, serve warm.